These Vegan Mashed Potato Bowls are all the things you crave in the fall and winter in one bowl! 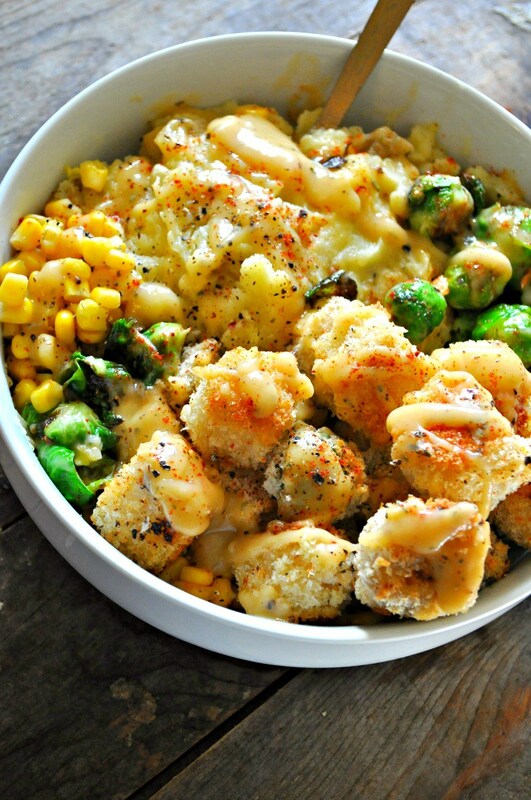 The creamiest, dreamiest vegan mashed potatoes, crispy, crunchy tofu and veggies, roasted veggies and corn. All topped with the easiest and somehow most delicious vegan gravy ever! The crispy tofu is baked not fried and it is incredibly crunchy! You can also roast plain and crispy veggies at the same time, to make this much faster and easier!